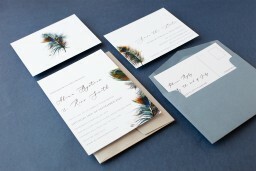 Strut your stuff with this vibrant Peacock Blue design by Stella M. Draw inspiration from nature for your wedding and incorporate the striking colours into your special day. The blue peacock feather speaks of both regal elegance and playful fun, making it versatile for any style of wedding. 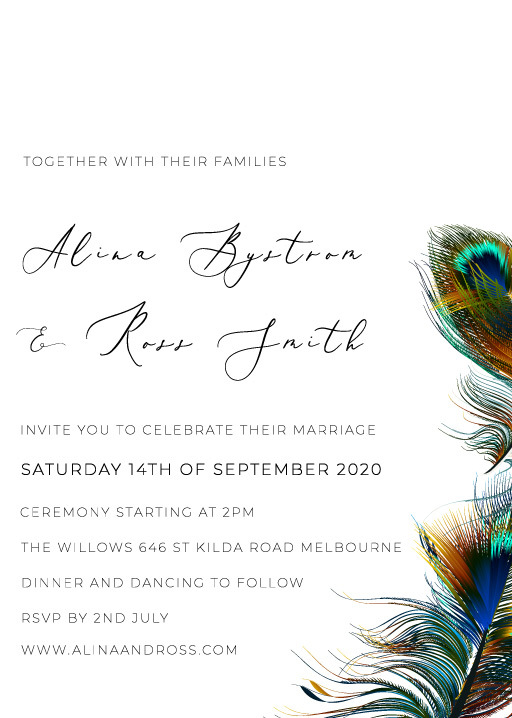 Choose these peacock wedding invitations to set the tone for the wedding of your dreams.